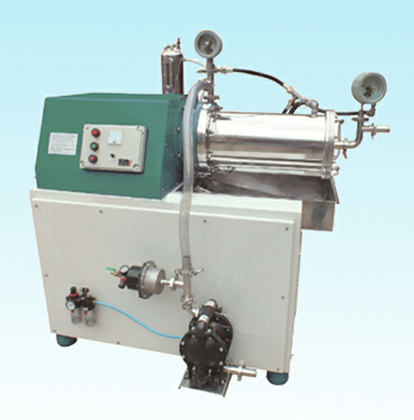 Charge pump will material sent to the grinding machine, in the process of the dispersion grinding cylinder is equipped weth zirconium beads,Grinding the material through dynamic separation system retum material grinding cylinder,circular grinding,many times after cycle time has reached the requirements of the material by separation system,depending on the different product fineness,this process is suitable for the condition of high fineness requirement of product use,but also batch,series and so on grinding process. 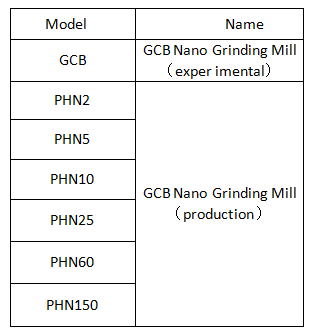 The evolution of separation system and nanoscale hollow rotor designOpen type dynamic separation system: can effectively disperse or grind materials to nanometer range. 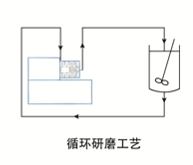 To achieve the above goal, you need to have an efficient separation system and high energy input .Based on material from the heart of the Development of the separation system for further separation system of aperture cone can also turn the real dynamicSeparation system at the same time,machinable coarse-grained solid-liquid system,even at large flow condition,and there was no leakage of grinding beads,through improved discharging port Settings in the discharge valve of the part,reduce the materials brought about by the grinding chamber when the precipitation separator blockage.It is equipped with grinding Beads to collect disc,avoid costly grinding beads loss,facilitate cleaning. 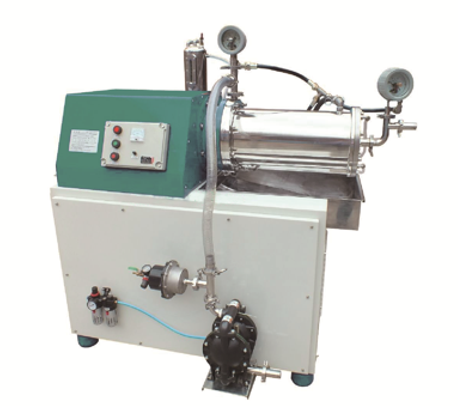 Cycle the bedroom sand mill large flow design,make the material stay in the grinding drum for a very short time,the heat generated by the grinding with the circulation of materials out soon,solved the heat dissipation problem of traditional sand mill.Especially suitable for grinding heat sensitive products.